As we were sitting out on the front porch enjoying our margaritas on Sunday afternoon, Lenny came by to check on us. Instead of Lenny though, it was his missus. I’ve seen pups running around lately, so it was nice to meet their mamma. 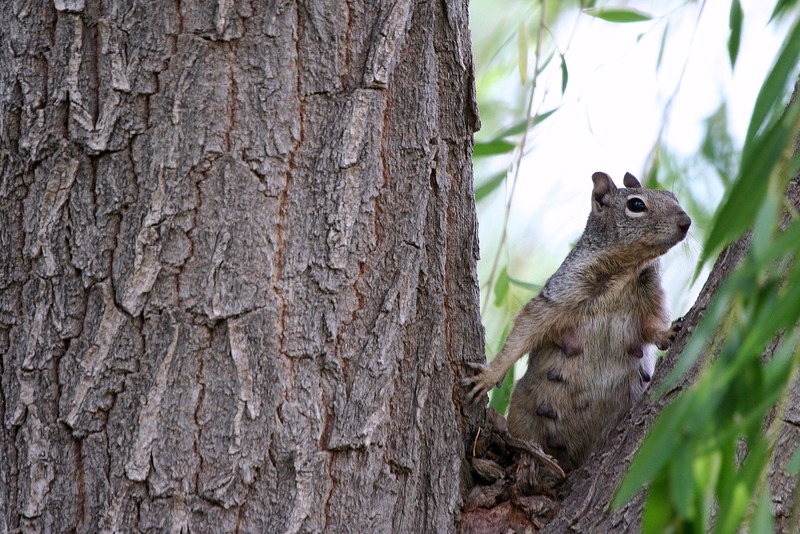 The female rock squirrel has two litters a year with three to nine young in each litter. The first litter is born between April and June and the second litter is born between August and September. Squirrels in other people’s yards are cute.This girl needs some nursing bras! 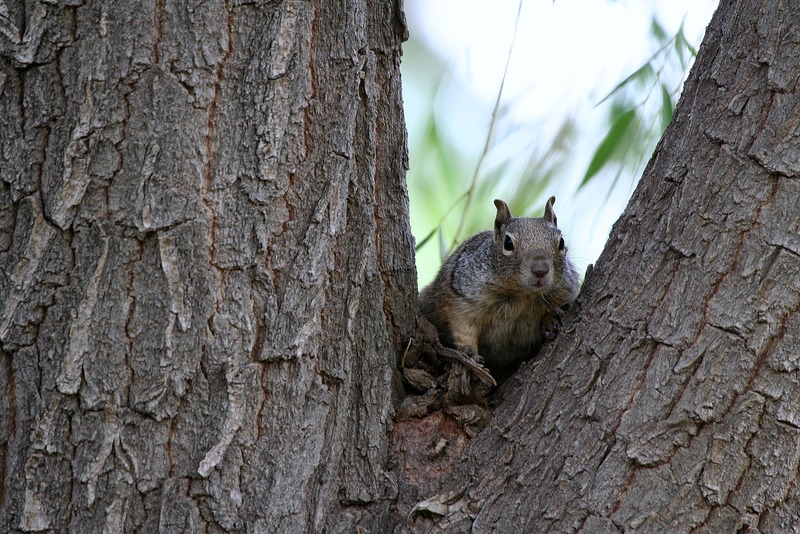 Your eyesight must be great to tell a male from a female squirrel. Love you!!!!!!!!! I love how the little ones chase and play. Momma’s probably terribly happy when they’re out of the nest. Are you just calling her Mrs. Lenny? Have a super duper fantastic weekend to my favorite farm folks! Very cute and proud mama probably looking around for her litter from where she sat in the tree! I vote for Lenore too! Hope you can get some photos of the young ‘uns. Awwww….getting a break from the kids. She sure is cute. Thanks. 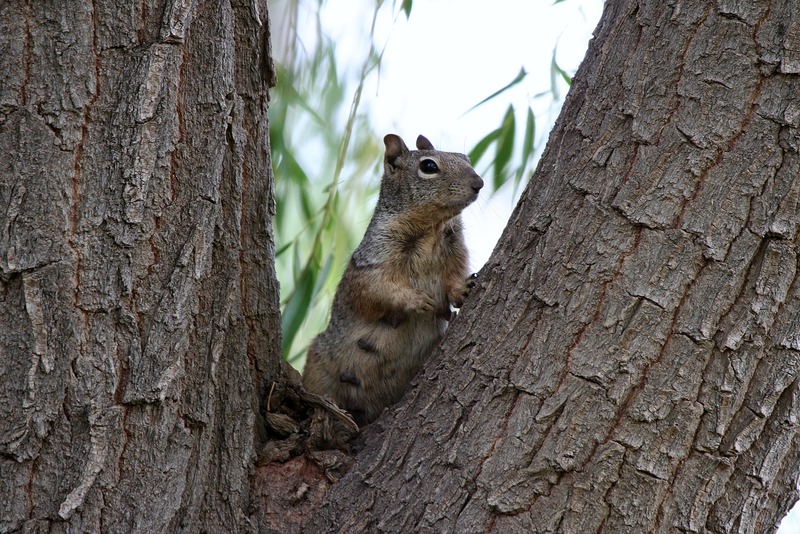 Squirrels are really lovely! Great photos, Justina! I have a squirrels’ nest up very high in a tree. Have seen a squirrel going to it occasionally. Would love to see the babies one day……. 🙂 Would love to have a better camera and lens! Oh cute cute Missus from Lenny, please bring your youngsters close to Justinas camera for a photo session ! A nice weekend to all at the Morning Bray Farm! I have many suirrels scampering about in my yard but I have never seen their babie. I bet they are adorable! I have one in particular little guy that likes to nap on my fence when the sun is shining, it’s so cute! Boy, I don’t envy her nursing all those babies. One at a time was tough enough for me.